I hope you are all having a truly lovely day! I have actually done some sewing today as well as some uni work so I am feeling happy! Happy enough to eat some of this carrot cake I made yesterday! And to cap the day off....the sun is shining! Actually cut out my fabric in the conservatory today! Hopefully it will stick around for a while, I am fed up of coats and jumpers! 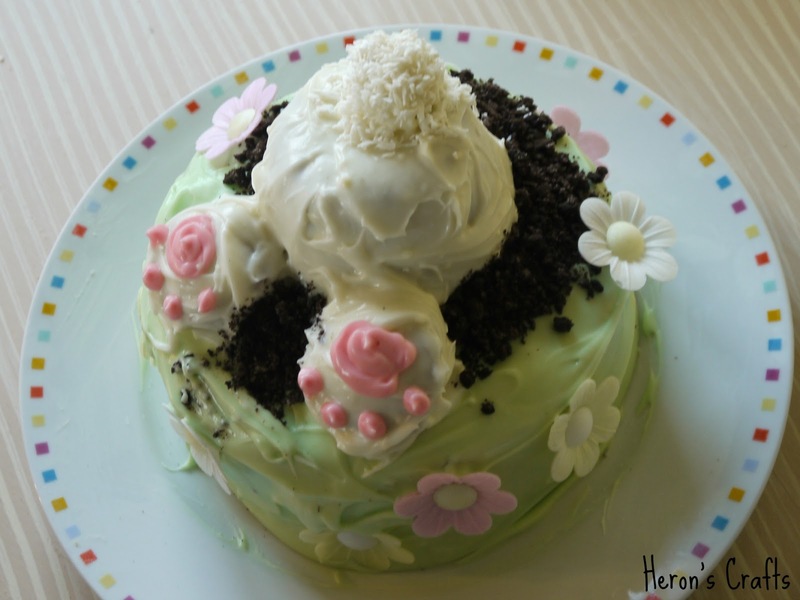 That cake is amazing - love the cottontail!